2018 was a rollercoaster of a year! We review and give some insight into what we’ve accomplished over the past year and what to look forward to in the year to come. We’re very excited for 2019, you should be too. 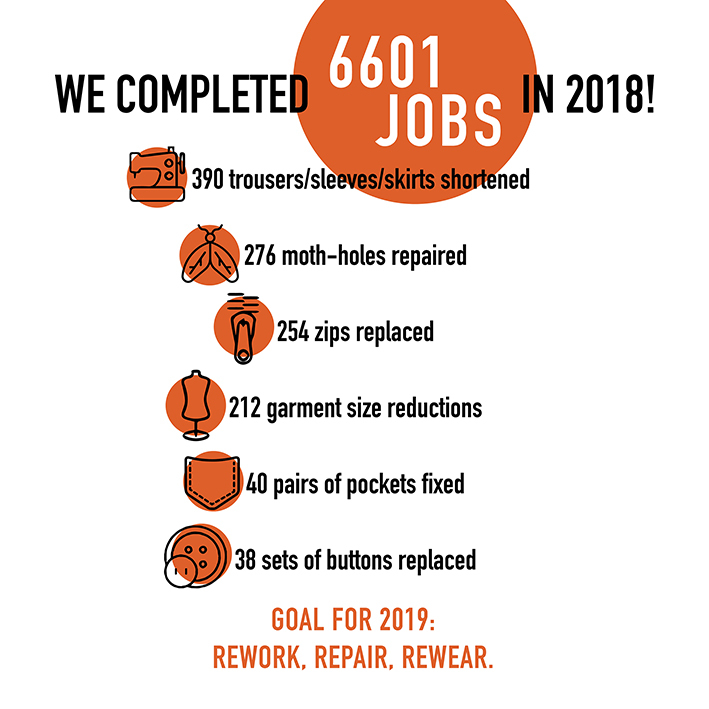 Our goal for 2019 is to triple our total job count from 2018, work with you and new customers to love your clothes for longer and keep the landfills as empty as we can.